“Sauvage is really not that bad. Even though I have to warn you that horses are only mentioned metaphorically.” – Triple-H aka the Hip Hop Horse. 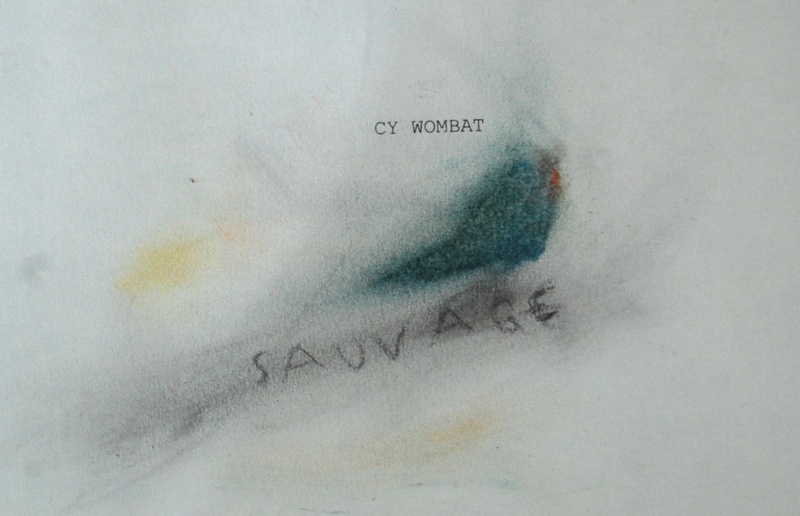 Review of ‘Sauvage’ in Le Monde de Cheval, Issue Nr. 71, 8/2014. After having finished my dance/choreography study a couple of weeks ago, I tried to take some time off from studios. I managed, but only by creating another one, a home studio to record some songs on my own for a music project, that I recently started. Therefore my rapping alter ego Cy Wombat is proud to present now his very first 7-track EP, that is perhaps most suitable filed under Alternative Rap & Spoken Word, Applied Animalism or An Accompaniment for a Walk through the Woods. Cy and I are happy to share his first EP with you. Track 1, 2 & 5 contain samples of ‘Périodes’ by Gerard Grisey.